I was very impressed with the video and then googled to find Maja. 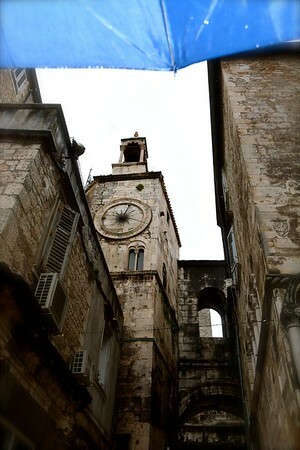 She responded very quickly and offered a tour of Trogir & Split for a very fair cost. I found 8 other couples (total of 10) to share the tour and we were all very happy with Maja’s incredible knowledge and professionalism. 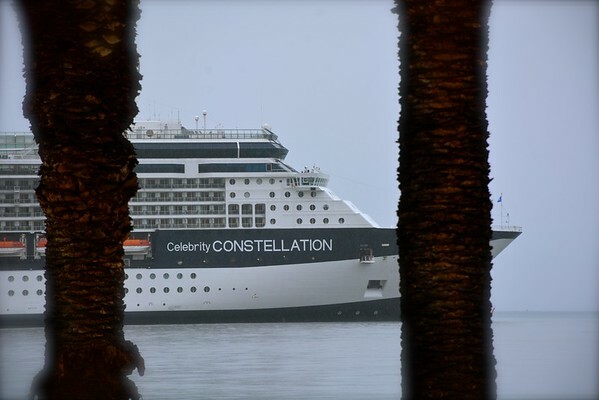 Unfortunately, we had very bad luck with the weather and we could not see all that we wanted to without being drenched to the core. 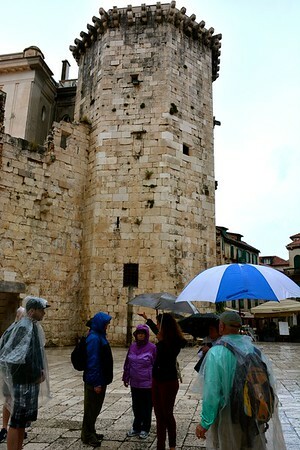 However, Maja continued on and she was very savvy in finding every nook and cranny within Split where we could escape the torrential downpour. Below is a description of the tour that Maja provided and more/less we saw what she mentioned, noting that some views were impaired by the weather. 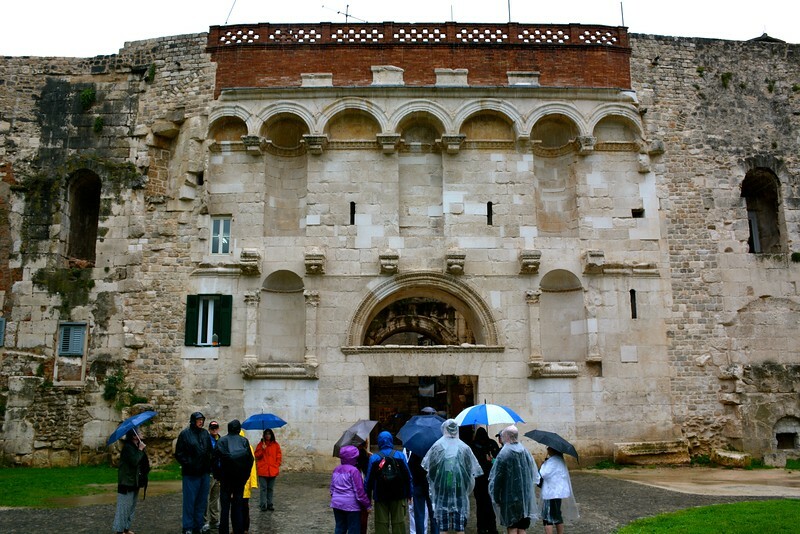 The tour shall start with 35 minute ride to Trogir and there we will have a 1 hour walking tour. 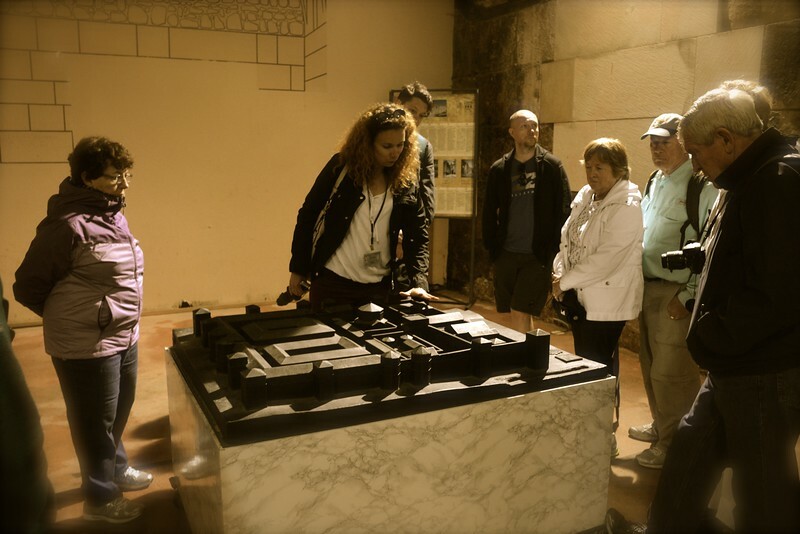 During the tour we would see the city fortification with 2 gates,defensive towers- Kamerlengo & St. Marco, main piazza with St.Lawrence cathedral,nobleman palaces,loggia-tribunal of justice, Town hall, convents and monasteries. Some free time for shopping or refreshment and then return to Split. 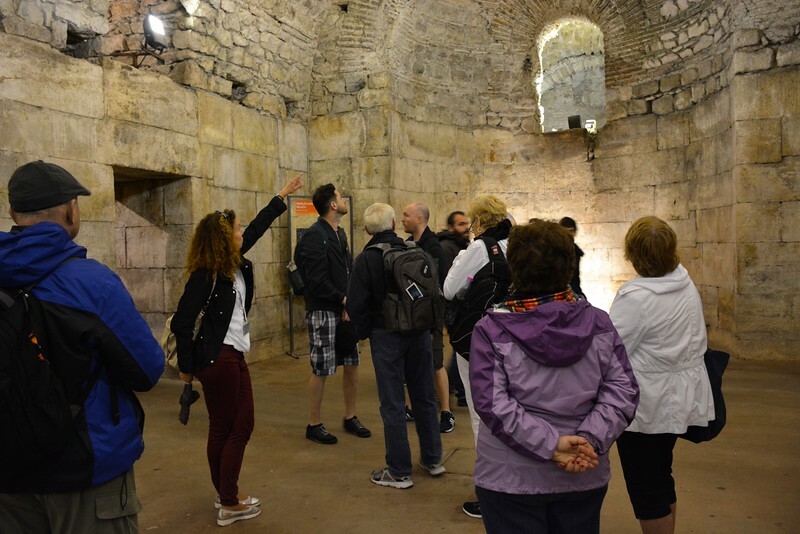 Upon arrival to Split we will go for a walking tour (about 2 hrs), first part of the tour will be focused on Diocletian’s Palace-4 palace gates, substructure part, Peristil, Vestibul, Mausoleum, Jupiter’s Temple, medieval town built inside the Roman palace, Cardo & Decumanus streets. After exploration of the Palace,we will briefly stroll the remaining area protected by UNESCO, which includes Pjaca square, Fruit square, Marmont street with Fish market and Sulfur spa, Theater, Prokurative square, Riva-waterfront promenade with St. Francis church. 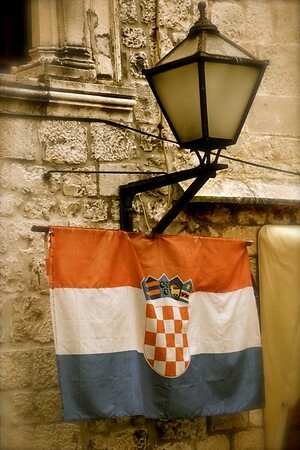 I would highly recommend the services of Maja for anyone visiting Trogir & Split. She is absolutely awesome and one of the best guides that we have ever hired for a private excursion.